Moira Walley-Beckett | TV, eh? Moira Walley-Beckett and Anne with an E are on a roll. The former landed the Showrunner of the Year award at the 2018 Rockie Awards gala at the Banff World Media Festival earlier this year while the latter was feted with individual awards and Best Drama Series at the Canadian Screen Awards. With Season 2 of Anne with an E returning to CBC this Sunday at 7 p.m., we spoke to Walley-Beckett in Banff about what’s to come for Anne Shirley (Amybeth McNulty), Marilla Cuthbert (Geraldine James), Matthew Cuthbert (R.H. Thomson), Gilbert Blythe (Lucas Jade Zumann) and newcomer Sebastian (Dalmar Abuzeid). There are some new characters in the second season, but the most important question that I want to ask is … the Season 1 finale, the two guys that came into the house … do we catch up with Season 2 right in those moments after? Do we find out what these guys are plotting? Because it would appear that they were plotting nothing but bad things. Moira Walley-Beckett: They’re bad, bad, bad grifters. Season 2 picks up nine months later, and they are still there at Green Gables, pretending that they didn’t know each other before. We’re going to see how they’ve integrated into the household, what their master plan was in being there in the first place, what transpires, and how it affects everybody and the town. It isn’t like there is this quick revelation that these guys are grifters and that they may be bad, and let’s get rid of them. They are part of life. MWB: It’s a long game. It’s a very long game. How much fun is it to do that to the audience? You’ve got some diversity in characters in Season 2. I recorded a podcast with Dalmar Abuzeid. Now, we didn’t specifically talk about Anne with an E at that time. What can you tell me about his character Sebastian? MWB: I’ve been chagrined by the fact that the story of Anne of Green Gables and Avonlea does not culturally reflect the diversity in Canada and the colour in the world. So, my master plan at the end of Season 1, which was my plan from the beginning, was to earn Gilbert’s exit, and put him aboard a steamship, and send him out into the world. It afforded me an opportunity to introduce this new character, played by Dal, who’s a person of colour, who becomes a very, very good friend of Gilbert’s. They travel to exotic ports of call, where we see a whole other part of the world and certainly a whole different cultural experience through the eyes of Gilbert. That explains the filming in Port Dalhousie. MWB: Yes. Which is unrecognizable. My art department and my production designers … I brutalized them this season. Because it’s a huge season they just did phenomenally detailed work. I mean, you’d have no idea that you weren’t actually there. Then we have our steamship and the interiors and exteriors of the steamship that we built. It’s just an incredible season. When did you picture this big season? Was it in your grand plan from the very beginning? MWB: Yes. From when I was first conceiving of the show and how I not only could go deeper emotionally with all the characters, and Anne particularly, her backstory, but certainly Matthew and Marilla too. But also, how do I want this series to grow? How do I want to expand the world? How do I want to foster conversation in families who are watching? So, it’s always been part of the master plan to expand the story and expand the world. It must have been really great to get the Season 1 feedback, first from the fans watching on CBC and then the Netflix fans telling you how much they love these characters and your version of it. MWB: It’s been really exciting to see how excited fans around the world are by this beloved Canadian story and how embracing they’ve been of the departures that I’ve taken from the book, which are, as you know, enormous departures. Basically, by the end of the first episode of the first season, we were off [the book]. I was like, ‘We’re doing this instead,’ and purposefully doing so, because it’s a beautiful template, but for me to have wanted to engage with it and develop it, I wanted it to be more, and deeper, and expansive. The writer’s room for Season 2, what was dynamic? The female to male ratio, the veterans to new people? MWB: Interesting question. Well, I’ll just start by saying I didn’t have a writer’s room for season one, and I wrote every episode myself. I mean, I’m such a control freak. I so loved that experience, but I had the luxury of time to do it that way, and I didn’t have that for Season 2. When I imagined how I wanted to undertake Season 2, I decided to have an all female writer’s room for the show. So, I hired five Canadian writers and one U.S. non-writing writer to break story with me in the room. It was an extremely invigorating experience, and intimate, and safe, and I think corrective for some of the female writers. It’s a diverse room, which was also super important because it’s … why limit? I want all the voices. I want different perspectives. It was a great crucible. What can fans expect from this second season? You’ve already said big. We’re going to have diversity in the cast, going to places that the books have never gone before. What else can you say? MWB: I guess I can say it’s a challenging season. I’m exploring some topics and themes that are very challenging, and very topical, and very relevant right now. We’re diving deep into bullying, and prejudice, and racism, and intolerance, and gender issues, and sexuality. It’s a major, major season, and it’s 10 episodes. Because that’s got to happen. Well, I guess it doesn’t. MWB: This is the thing, I’m an unreliable narrator of the book. “I had to approach it from a point of emotional reality. Anne is a damaged person. She is a wounded person as are Matthew (R.H. Thomson) and Marilla Cuthbert (Geraldine James) in my mind. I felt that it was extremely important to honour what it was like to be an orphan back then when you were viewed as a delinquent and unlovable and ungodly. There was great prejudice and great harm done.” Continue reading. It’s the news many of us have been waiting for. Season 2 of Anne with an E will return to CBC this fall. Sunday, Sept. 23, at 7 p.m., to be precise Plus, two brand-new, exclusive images have been released as well as the trailer. Inspired by the timeless Canadian novel ”Anne of Green Gables” by Lucy Maud Montgomery, the second season continues to chart bold new territory, adding new characters and storylines while further exploring themes of identity, prejudice, feminism, bullying, gender parity and empowerment through the lens of its fierce, starry-eyed, irrepressible 14-year-old protagonist. Are you excited for Season 2 of Anne with an E? Let me know below! Images courtesy of Chris Reardon for CBC. CBC and Netflix today announced they have renewed acclaimed series ANNE (WITH AN E) for a second season. Produced by Miranda de Pencier’s Northwood Entertainment, the second season sees an increased order from eight hours to 10 and begins shooting this fall. 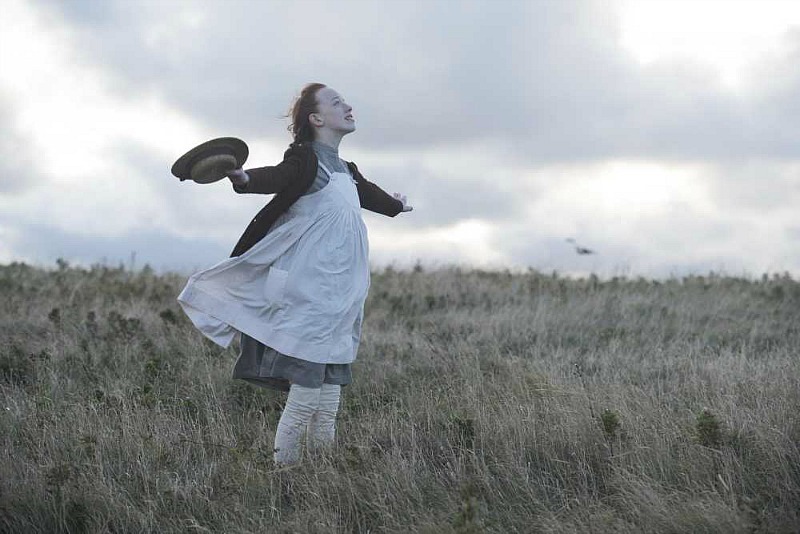 Adored by audiences and critics alike, this reimagined coming-of-age story follows Anne (Amybeth McNulty), an outsider who, against all odds, fights for love, acceptance, and her place in the world. Season two of the series (known as ANNE in Canada, and ANNE WITH AN E on Netflix) returns in 2018. For season two, three-time Emmy® Award-winning series creator Moira Walley-Beckett (BREAKING BAD, FLESH AND BONE) has assembled an exceptionally talented all-female writers’ room. Episodes will be written by Moira Walley-Beckett, Jane Maggs (BELLEVUE, CARDINAL), Shernold Edwards (HAVEN, SLEEPY HOLLOW), Kathryn Borel (RUSH, AMERICAN DAD), Amanda Fahey (SAVING HOPE, MOHAWK GIRLS), and Naledi Jackson (21 THUNDER, THE DETAIL).